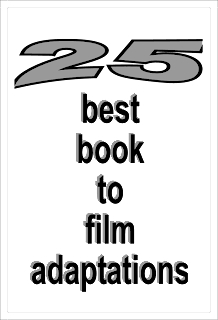 MY BOOK, THE MOVIE: Mike Brooks's "Dark Run"
Mike Brooks was born in Ipswich, Suffolk and moved to Nottingham when he was 18 to go to university. He’s stayed there ever since, and now lives with his wife, two cats, two snakes and a collection of tropical fish. 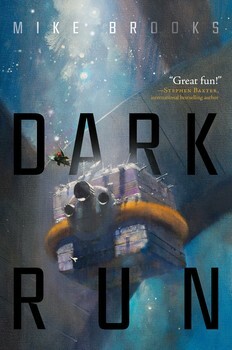 He is the author of the Keiko novels, sci-fi adventures that follow the escapades of those crewing the spaceship of the same name; Dark Run, the first book in the series, is now available in the US. When not writing, Brooks works for a homelessness charity, plays guitar and sings in a punk band, watches football (soccer), MMA and nature/science documentaries, goes walking in the Peak District or other areas of splendid scenery, and DJs wherever anyone will tolerate him. Ichabod Drift: He's tall, good-looking, charming, and of Mexican heritage despite the name. I've wondered about this for a while, but the perfect candidate would seem to be José Alberto Rodríguez, better known as Alberto Del Rio from the WWE. Tamara Rourke: Drift's business partner is small and wiry, but ruthlessly efficient. From what other people have said, Jada Pinkett-Smith's portrayal of Fish Mooney in Gotham would carry over well here (although they might need to age her up – Rourke's in her fifties, although she looks younger). Jenna McIlroy: The ship's youngest crew member and general hacker genius, Jenna is quite tall and I think would be well-played by Sophie Turner (assuming she could do a convincing American accent). Jia Chang: The crew's foul-mouthed pilot. Grace Huang is older than the character but is capable of pulling off the no-nonsense aura and Jia's death stare. Nicolas Kelsier: While writing the novel I always imagined Kelsier as looking like Bill Nighy and sounding like Jon Hurt. A good compromise would be Charles Dance. Visit the official Mike Brooks website.